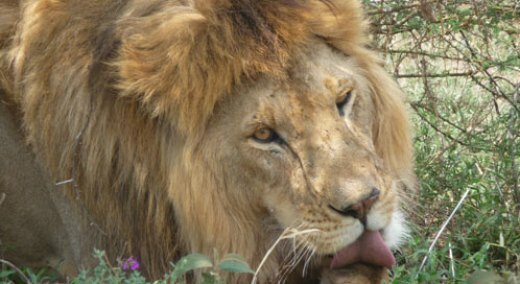 The recent shooting of a protected Zimbabwean lion named Cecil by an American dentist who likes to hunt big game with a crossbow has caused outrage around the world, to the surprise of many, including – we can only imagine – the former dentist. It has brought attention to the plight of endangered animals in Africa, but it also raises a number of questions. The outcry is an example of the Anne Franck effect: one death (or accident, or whatever) seizes the imagination when there are a million others going on underneath our emotional radar. Not only millions of animals: we are all suffering from “compassion fatigue” over the way global violence has created an enormous number of refugees – recently restyled as “migrants” by the press, which pushes their desperate plight further beyond the reach of empathy. Hitler, or was it Stalin, (it’s attributed to both and would be equally characteristic of either) famously reportedly said, “One death is a tragedy; a million is a statistic.” The death of this noble animal, Cecil, became a “one” that rose up out of the surrounding millions, and we would love to know how. The very real, very particular event perhaps has taken on a kind of mythic clarity, allegorizing the suppressed agony we all feel every day about what our technology – and lack of feeling – is doing to nature. In any event, it tells us that while we suffer from compassion fatigue we do not undergo compassion death: our compassion may be numb but is never beyond the possibility of revival. Unfortunately, it is hard to predict what exactly it will take to revive it. If we understood this we could perhaps awaken ourselves deliberately instead of waiting for just the right event to break through. For full disclosure, I am a lifetime vegetarian and love all animals; I am finding it very difficult to feel any sympathy for Walter Palmer, who killed Cecil under really heinous circumstances. But I have to try. Not because his practice is already ruined and Zimbabwe is seeking his extradition. There is a real danger that by demonizing one unfortunate dentist we will be making him a symbol, and thereby a substitute, for the whole problem of our insensitivity and destruction of life – in a word, scapegoating him. That will solve nothing. The way out of this danger has two steps. First, as far as possible, shift our energy from reviling Palmer to feeling – though it’s painful – for the dead creature and what he represents. Second (and this is the only real way to assuage those feelings), take action to address this problem. That could be in many ways. More than a million people (including your author) have signed a petition to “demand justice” for Cecil and urge Zimbabwe to stop all poaching. That’s a start. But the problem so pervades our civilization that we can tackle it anywhere, from education in our community to hanging from a bridge in Portland, Oregon (as protestors recently did to try to prevent Shell oil from drilling in the Arctic). If we choose compassionate action that engages our capacities and tackles a real aspect of the problem it will channel our emotions in a useful direction. That will be good for us personally; but taken all together, done persistently enough, it can do much more. Some news reports are saying that poachers like Palmer “give legitimate hunters a bad name.” But is killing an animal for sport “legitimate?” I say it’s degrading and it’s ultimately endangering life on earth. We have to stop it, and we can, along with the other dimensions of our misguided relationships to the environment.